Imagination’s philosophy has always been to provide golf clubs with a fully integrated IT system where possible. 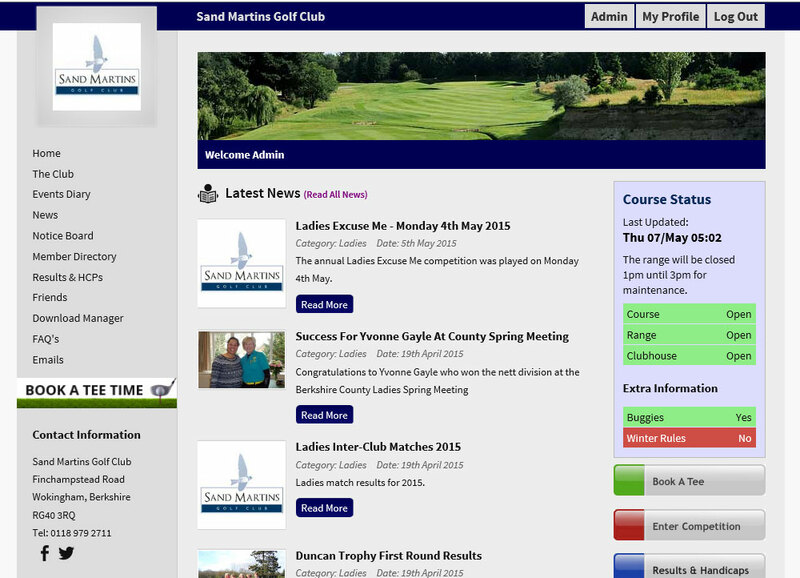 In working very closely with Handicap Master we have been able to integrate their online results service, Master scoreboard, directly into the clubs own members websites. 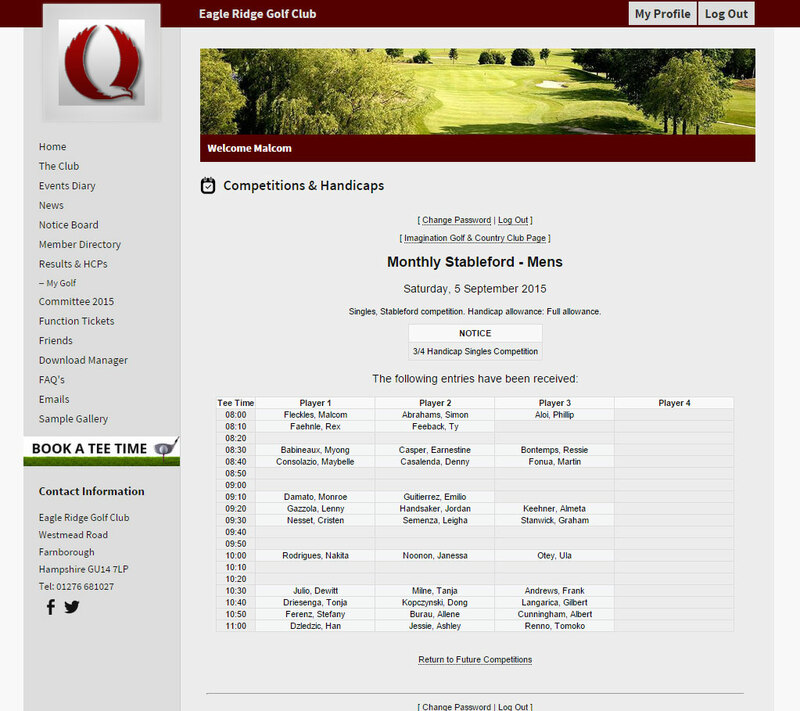 As a result members can now not only see the clubs competition results but they can also view their own playing history on the “My Golf” page of the members’ website (see Fig 1). 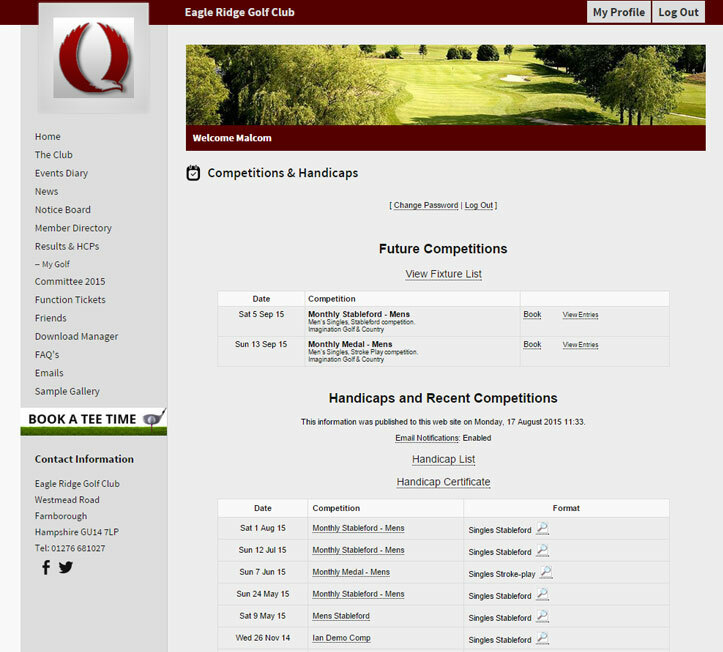 Other benefits include the member being able to see an analysis of their competition rounds as well as having the functionality to book into future competitions (see Fig 2). 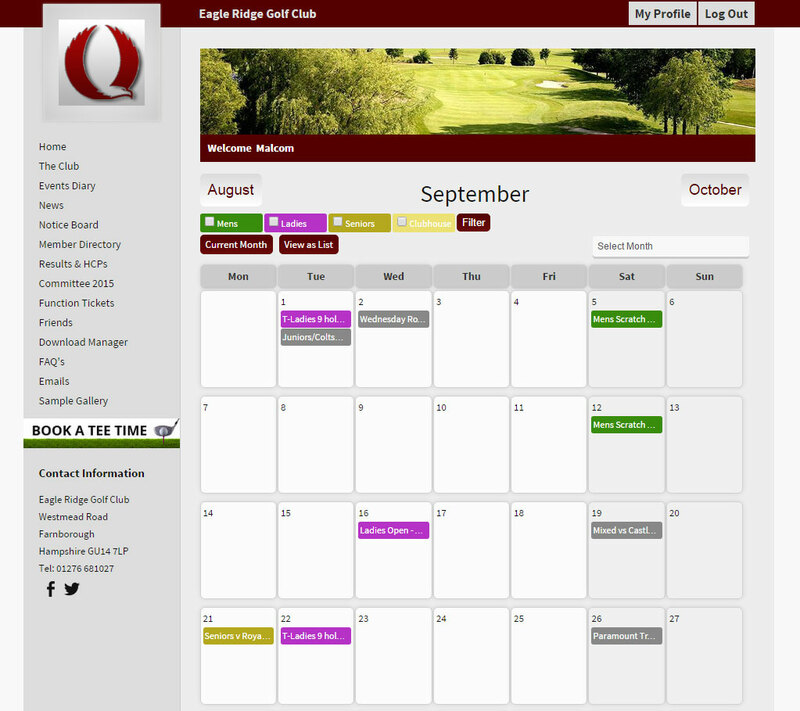 Colour coded events that can be filtered by categories, viewed as a list or as a grid and competitions can be entered directly from here. An up to date list of members that is synchronised with the membership system at the club. Members can select what information is displayed about them in the directory. The club can post up news items about the club, which can be categorised into different sections such as men’s, ladies, seniors etc. Members can subscribe to sections and receive an email each time a new post is added. Information about the golf club can be added to the notice board such as local rules, greenkeeping maintenance work to be carried out, committee minutes and social events. As with the news items the notice board items can also be categorised into different sections of the club. The buddy board is an area where members can find playing partners, a member can put his name down at a specific time of day that he is able to play i.e Tuesday afternoon. Other members who are looking for a partner and can play on a Tuesday afternoon can then contact him through the members website to arrange a game. The club can create key personnel pages, examples would be photographs of the key members of staff or members who sit on the various committees within the club. This is where the club can post some frequently asked questions such as – What time does the clubhouse open? – and also provide the answer. Clubs can have forums on the website where members can discuss aspects of the club, all of the submissions made are monitored and can be easily removed by the club if required. 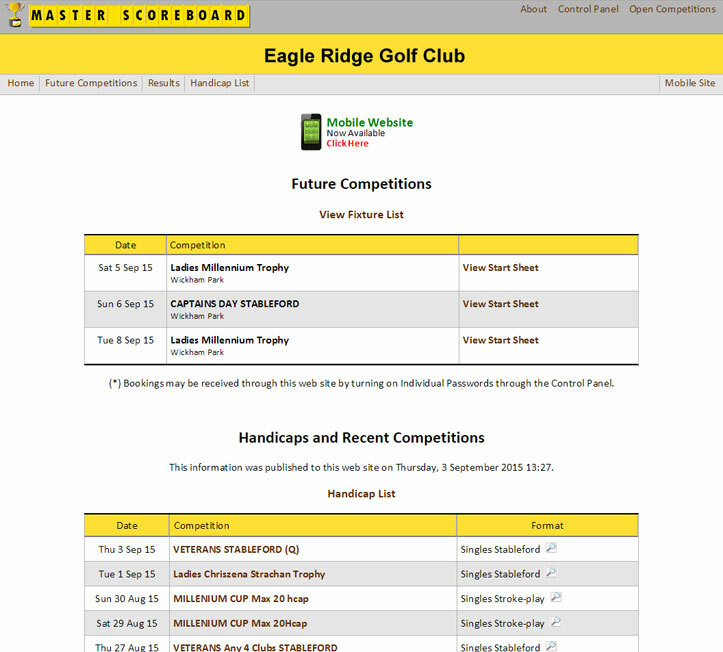 Imaginations’ members website embeds the popular Master scoreboard results service within its own pages. 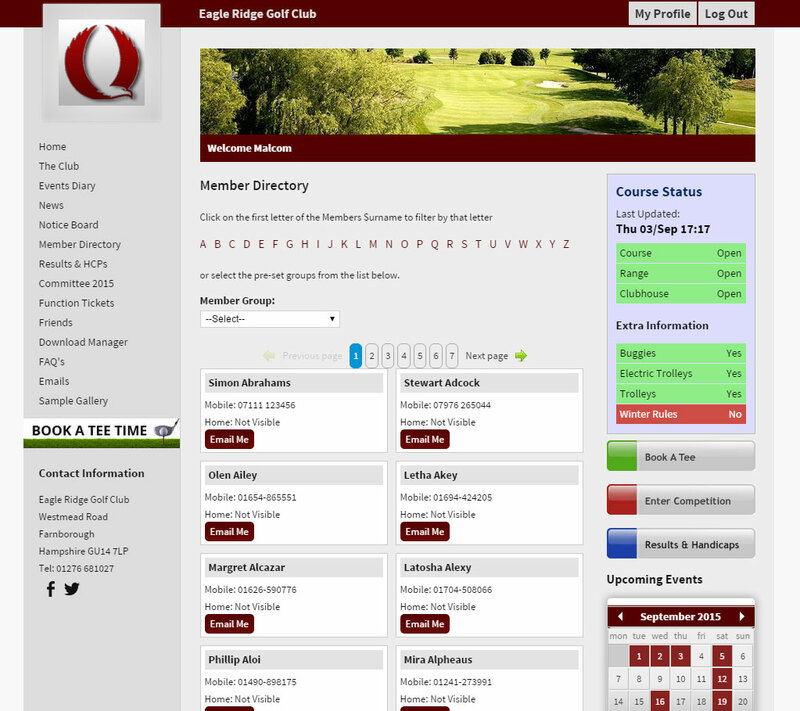 This means that once a member logs into the website, they will automatically be able to access all of the clubs’ results as well as personal statistics and handicap information. 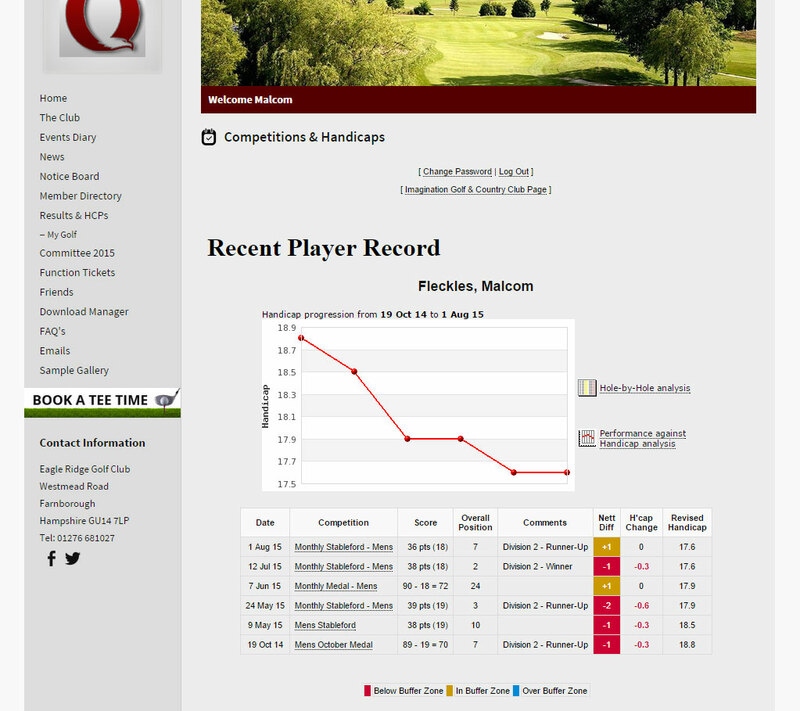 The integration with Handicap Master is seamless and gives the impression that the competition results are part of your own website rather than being provided by a third party. If you would like more information about how we can integrate with Handicap Master or any of our other products then please give us a call on 01276 681027 or send an email to info@4imagination.co.uk.